This is where Carrie and I our internet for free. 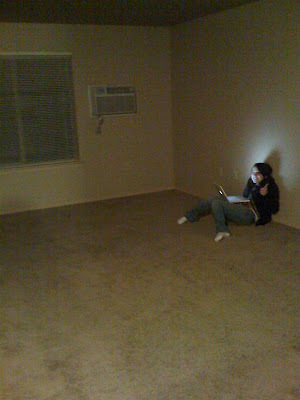 Yes, this is an empty apartment. Yes, sometimes we turn the lights on. No, we haven't turned the heater on, but yes, I've thought about it.